In typical Optare fashion, the Solo had three launches. First of all, an artist’s impression with some details was announced in late Summer 1997. Then, in October, the actual vehicle had a soft launch inside Oulton Hall, after dinner, on the outskirts of Leeds. There we got the first glimpse of a vehicle that was set to revolutionise the small-bus sector. Seen as an immediate replacement for the integral Optare MetroRider, which itself has sold well over 1500 units, the Solo was a challenger to the step-entrance Mercedes Benz and others – before the words DDA, and compulsory lowfloor, became the industry norm. 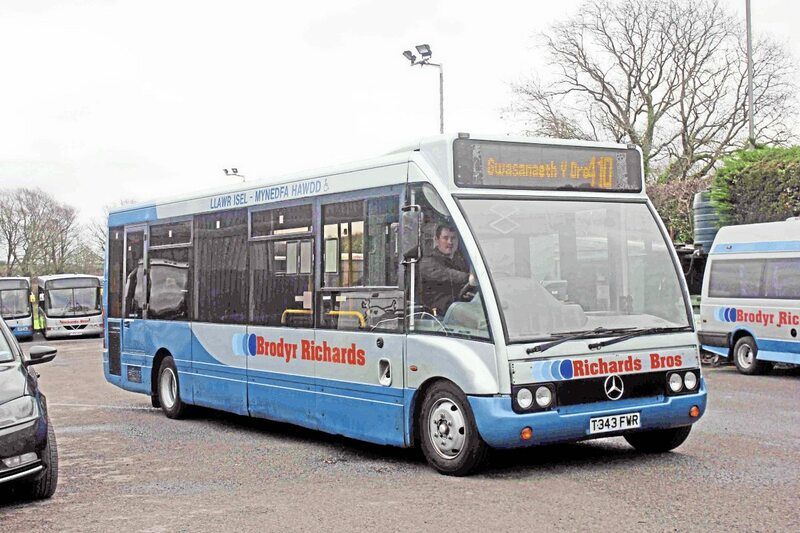 Its only real competitor was the Dennis Dart, which was already available in various lengths, and in low-entry styles. On display, and at the Coach and Bus Show, a month later, was a proper bus – full-width (2.5m), and 8.5 metres or 9.2 metres long with up to 33 seats. Its design followed the Optare family of vehicles, but it offered heavy-duty components. It used the Mercedes-Benz compact 900 series Vario engine, Allison automatic transmission, GKN and Albion axles with full air suspension. 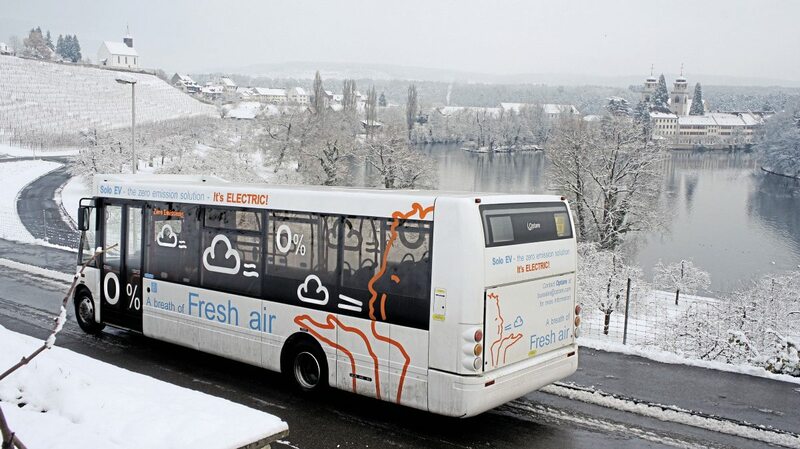 Ease of maintenance was afforded by the quick-release sub-frame, which allowed rapid change-over of the power unit, and the complete multiplexed electrical system, which had the first comprehensive diagnostics on any UK production bus. It offered the lowest floor ever, at 250mm, which could go down to 190mm using the kneeling system. Manoeuvrability was enhanced by having wheels in front of the door, which helped the bus to dock carefully at bus stops, before raised kerbs came into fashion. If there was any criticism, it was that it was too much of a step up from the traditional independent’s minibus, and it was then seen as a big fleet’s bus. Nevertheless the mood was changing, and even rural operators recognised that passengers deserved more than the narrow-bodied, step-entrance ‘bread van’ conversions, that were in service. 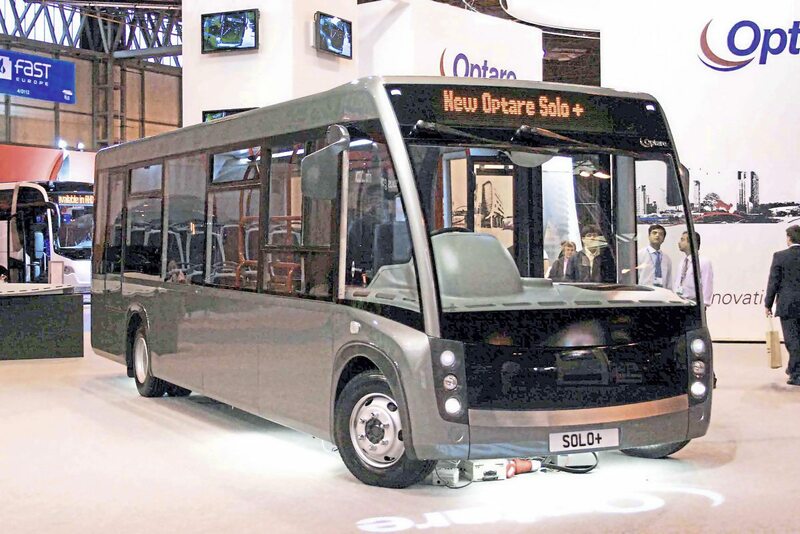 Optare left the show with £9million worth of orders in its pocket, and nearly 300 vehicles had been ordered before full production was under way. 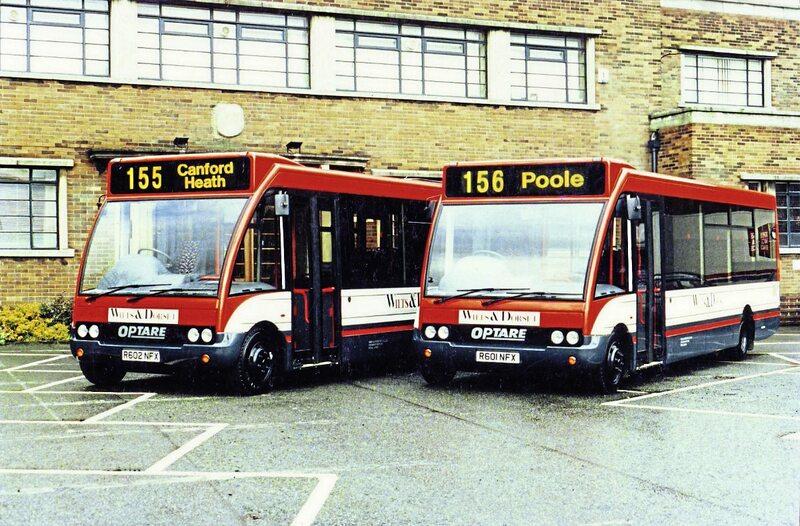 Clearly a lot more development was under way, because it was May 1998 before the first deliveries emerged – the first of 85 Solos (ordered off the drawing board) destined for Wilts & Dorset in Poole. The first 32, 8.5 metre buses all went to the company, which in August declared Salisbury to be the first lowfloor City in the country; the historic market place was closed to traffic for the first time in 600 years to celebrate the entire conversion of city services to Solo and Spectra operation. 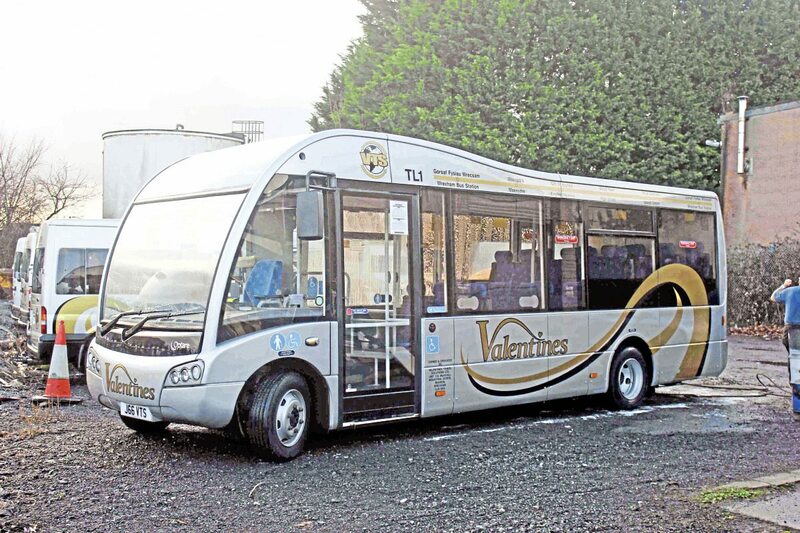 The original exhibition vehicle also disappeared from sight and reappeared a year later suitably re-registered and available for demonstration duties, before it passed to MK Citybus. Other major deliveries went to Travel West Midlands, Go Wear Buses, First Quickstep in Leeds, Reading Buses, and the first 9.2-metre versions for Nottingham City Transport. In August two went to independent ABC Travel of Southport, whose owner David Garnett was formerly traffic manager at OK Travel, and adopted its famous colours. After using five buses in Leeds and Otley in 1998, FirstBus became the first of the large groups to start ordering in quantity. Ulsterbus started in 2000, and Arriva in 2001. Stagecoach took until 2001 to buy its first examples, but the model is now its preferred standard vehicle with its total approaching 1000. Other larger groups that purchased large numbers included TrentBarton, National Express and Go-Ahead. However, it was at the other end of the scale where great steps were taken, when dealers like Mistral, and Dawson Rentals took batch orders, and then either sold individual buses, rented them for periods of time, or even arranged finance on a hire purchase or leasing deal. This made small numbers of Solos available to small operators, perhaps for a contracted service, or perhaps for a prime customer, and widened the vehicle’s appeal throughout the transport sector. 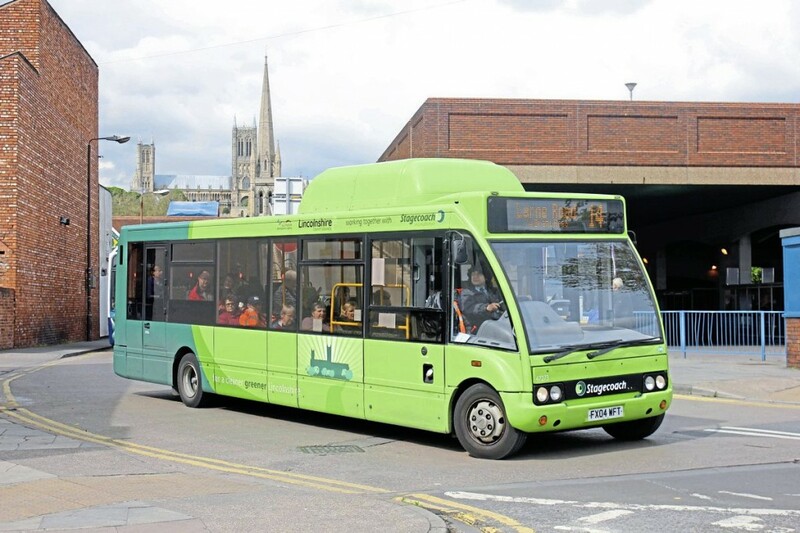 Because of the uncertainty in the market, lots of small operators have set up hire and rental divisions, with the Optare Solo foremost among their stocks. Some Solo production was also moved to the Rotherham plant, where part-built buses were driven, as part of their road test, to be finished for small or specialist operators. This removed some pressure on the Cross Gates plant, where annual production was exceeding 300. By 2001, overseas sales in the United States were being established, partly with the help of the NABI (North American Bus Industries) group. The 9.5-metre Solo was badged as the NABI 30-LFN, and achieved sales of more than 200 in a short period. Sold mainly to operators on the eastern seaboard, notable sales were of 70 to Miami-Dade County, and 75 to American Eagle airlines (which used them as airside transfer vehicles at a number of US airports). In 2004 major extensions to the Solo range were made, with more lengths and engine options. In addition to the original 122bhp Mercedes Benz engine, an uprated 145bhp unit was available. Operators seeking more power were offered the six-cylinder Cummins ISBe engine rated at 185 bhp. This required a 300mm extension to the rear overhang, so the designations for these buses rose from M850 and M920 to M880 and M950. Another significant extension of the range was a narrower SlimLine version which was 2.33 metres wide – ideal for those narrow estate roads with haphazard parking, as well as country lanes. Although the body was narrower, the axles remained the same width, so the tell-tale signs of a SlimLine were a tapering body at the front and an extruded mud-guard over the rear wheel. Later, a 7.8 metre version of the SlimLine was added to the range. Also introduced was a longer M990/M1020 Solo, which was an extended version with up to 37 seats and 23 standing, with the first ones going to Cooks Coaches for Park & Ride in Exeter. At the same time the interior was upgraded to that of the Excel 2 – which featured concealed lighting. Transmission was standardised with the Allison 2000 five-speed gearbox, which had hitherto been available as an option. 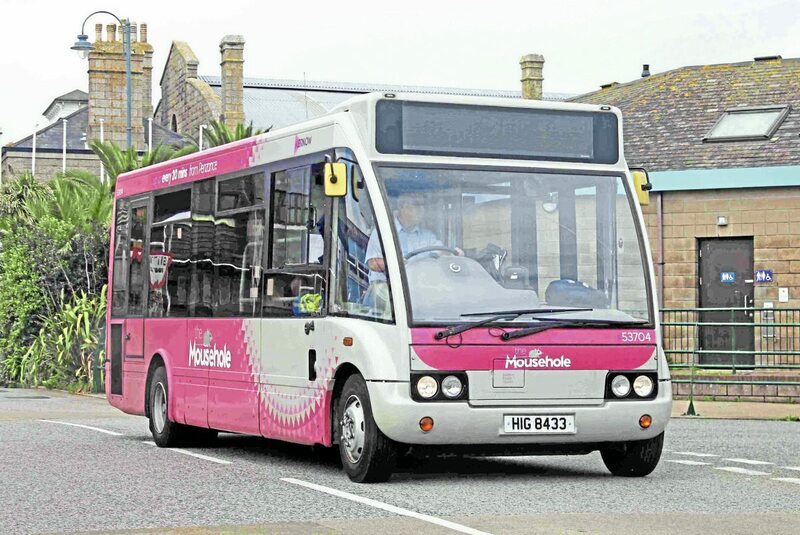 As if the range wasn’t comprehensive enough, in 2006, the 7.1 metre 24-seat SE model was added – which has since come into its own on rural services, and Dial-a-bus schemes. European sales, have proved disappointing, possibly because of the European ‘not invented over here’ attitude, but some had crossed over for specific contracts. Back in 2002, a left-hand drive Solo with two doors was fitted out in Hungary, with locally-produced seats and equipment, including a Hungarian-manufactured LED destination display. After undergoing European type approval, the bus was launched on an extensive demonstration programme. In 2004 Arriva purchased seven Solos for Copenhagen City routes, to operate under contract to the HUR, which is owned by the Greater Copenhagen Authority, and contracts out routes in the city. The Cummins-engined M950 Solos are two-doored, feature double glazing and two wheelchair bays. Another operator Helsingor, which also operated for HUR, took an additional two M920 models. Since then sales have been sporadic but 25 Solos were delivered to Syntus, in the Netherlands in 2010, four were purchased by Israeli operator Dan Bus, and nine were even sold to Reesby buses in New Zealand, to operate in Rotorua. A fair number of Solos have also been delivered to operators in the Irish Republic. One experiment which eventually came to nothing was in the field of hybrid power, Where Dutch manufacturer Eneco was developing a system using a VW 1.9 litre engine and generator. 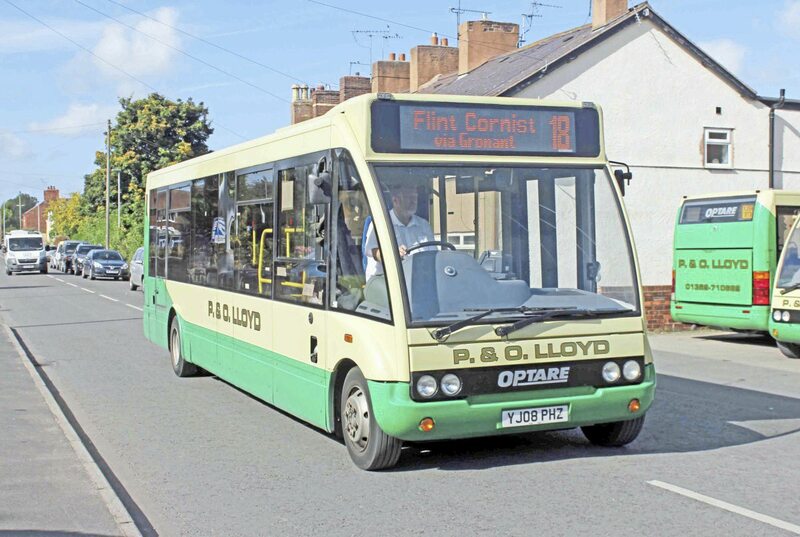 Although Optare wasn’t at this stage interested in developing the project, it did supply a number of bus shells. One unit was fitted to an existing First Manchester bus, while others were supplied new. The results were inconclusive. The vehicles proved troublesome, nosier and less fuel efficient, and were soon converted to diesel power. With the advent of Euro IV and Euro V engines, both Mercedes Benz and Cummins used after-treatment, through the addition of urea solution into the exhaust – a process known as Selective Catalytic Reduction (SCR). To encourage operators, who didn’t want the additional pressure of using AdBlue, Optare introduced a third engine option – the MAN four-cylinder 4.6 litre, 177bhp for the Solo. In 2007 the Solo evolved into its bigger brother – the Versa, which was a full-size bus with up to 40 seats, but incorporated much of the evolved styling of the Solo. It did feature a front overhang, and more curvature in its design. Both the Versa and its subsequent variant the Metrocity have sold in reasonable numbers. As it came into its tenth year, the Solo underwent its most radical change with the launch at the 2007 Coach and Bus Show of the Solo SR, which became an up-market version with some features of the Versa, including curved side windows and rounded front. Originally designed as a more expensive option for operators promoting buses as a higher quality, the SR eventually became the standard Solo, when the last of the old-style buses was delivered to Nottingham Community Transport in August 2012. First deliveries of eight SRs went to employee-owned Preston Bus, which was looking for an attractive vehicle to use on its Park & Ride services. Available initially as an M950, the SR soon spawned various lengths and was available as either 2.5 metres wide or 2.4 metres Slim Line. Although both models were initially produced side by side, there was enough pizzazz in the new styling to attract Macs Tours of Edinburgh and Arriva in Derby which took M890 Slim Line models. As if to derail the whole project, Optare’s new owners, the Darwen Group wanted to introduce new models, and entered EuroBus Expo in 2008 with two new models – the Rapta double decker – which appeared to be no more than a shell – and the Solo Plus. Unfortunately, there was nothing ‘plus’ about this Solo, with brutal styling and a sparser, more basic interior. Optare’s trend of moving the Solo upmarket had been reversed. No more curved glass, jus a flat boxy shape. Both the critical press and operators at the show were horrified at how the Solo had been dumbed down, and made their opinions known. Consequently, the Solo Plus faded into history, and the Rapta was broken up for scrap. 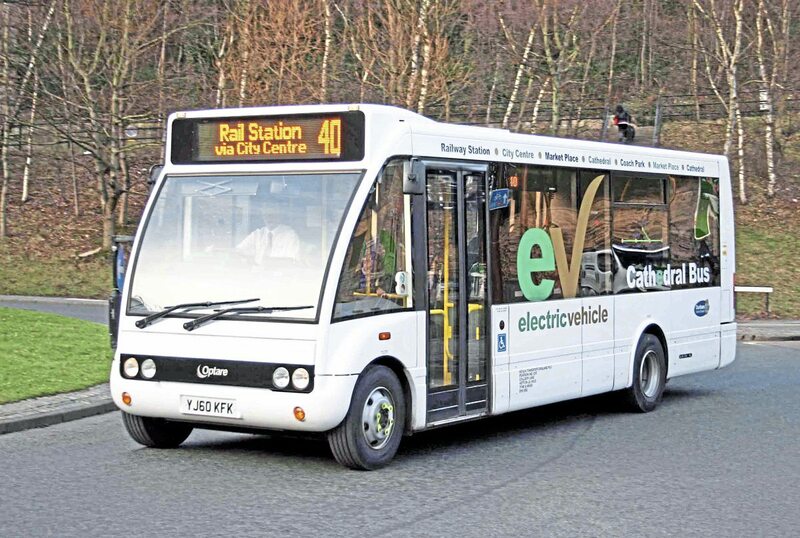 The Electric story started at Optare in 2009, with the production of an M880EV 25 seater as an Optare demonstrator. The first three went into service in Durham, having been purchased by Durham County Council, with the help of the Government Green Bus Fund. They were M810 SlimLines, and operated on the Durham Cathedral service, first with Veolia, and later Dunn Line. All four are now with Rotala, being converted to conventional power. Eight more of the original-shape Solos went to Nottingham in 2012, four to TrentBarton to be used on the city’s ‘Centrelink’ service, and four to Nottingham Community Transport. Recently the four operated by Trent have joined the Community Transport fleet. Since the introduction of the Solo SR, technology has been shared with the Versa, with some operators like Nottingham Community Transport buying some of each. As technology evolves, so does the range available on one single charge, and the company promises that a bus with two packs can achieve 95 miles, and that with three packs can reach between 150 and 200 miles. Stagecoach in Inverness, however, operates three Solo EVs and has said that by making modifications it can now reach 150 miles on a two-pack vehicle and even operate the bus’s heaters from this charge. Obviously battery life is another variable that is deterring operators from taking the plunge, but this is also improving, with some manufacturers offering warranties. Optare claims that charge time is approximately six hours from zero using the on-board charger. Using a 42kW off-board charger can reduce this time to 2½ hours. Differing charging options including dual fast-charge or inductive charging are also available. To date, 54 electric Solo SRs have been built, including 27 to Nottingham Community Transport, six to Stagecoach Highland, three to Strathclyde Partnership for Transport, three to Transport for Greater Manchester, two to Transdev Blazefield, two to Dorset County Council, and one to the Orkney Islands Council. Interestingly, five Solo EVs are now operating in Sweden, including the city of Karlstadt, three with Q Buzz Holland, which use inductive rather than plug in charging, and one with Peyer in Berne, Switzerland. More than 70 hybrid buses have been sold, notably to Transport for Greater Manchester, of which a large number operate the free city centre services. 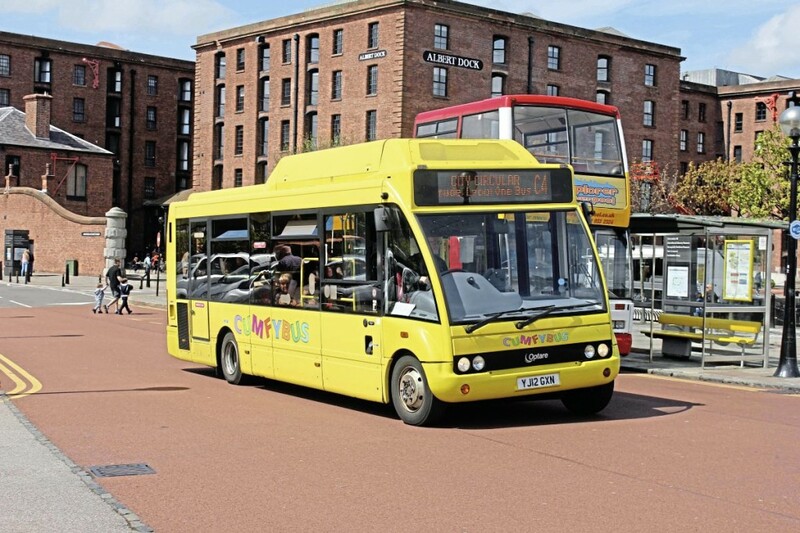 A large contingent has also been purchased by Cumfybus of Southport, which operates servicers in both Merseyside and Greater Manchester. The first delivery of hybrid Solos was in 2011 to Arriva Malta. Ten hybrid Solos were promised to the Maltese Government, as part of clinching the franchising deal. Although a new franchise has since been granted to Spanish group ALESA, and the hybrids have been advertised for sale, they still appear in service during the summer months. Another important step forward was gaining low-carbon accreditation for the Solo SR in 2014. The Solo SR with Euro 6 115kW engines and Allison 2100 transmissions are now certified Low Carbon Emissions Buses after passing the Millbrook London Transport Bus test cycle developed by Transport for London and Millbrook Proving Ground Ltd. Low carbon emission buses are defined by the Government as those producing 30% less emissions of greenhouse gases (GHGs) than an average Euro 3 diesel bus. Finally on the export front, significant partnerships have developed with other manufacturers to assemble the SR in South Africa, and exports to Bahrain and Australia have stepped up a gear. On a more sombre domestic front, it has to be realized that with public transport support being cut drastically, especially in shire counties, the rate of minibus renewal will slow down considerably. The haste to downsize town networks, and the rush to achieve lowfloor entry on every vehicle is over – so perhaps the future of the Solo depends on the impetus from urban low-emission zones, and the quest for alternative power. What is certain is that Optare’s radical departure from staid design and introduction of ground-breaking ideas was ahead of its time, but unlike so much prescient invention, proved practical. That’s why, two decades later, there is no sign of the Solo story ending. Coming up to its 19th year, Solo (T343 FWR) is acknowledged to be the oldest bus still in regular service, as newer buses are being scrapped, broken up for parts, or taken into preservation. Numerically the 157th to be built, it was actually the 98th to be registered in March 1999, as a blue and silver coloured demonstrator. It was initially despatched for trials with East Yorkshire Motor Services – one of the few companies never to buy a single Solo. By July 2000 it was sold to Cardiff International Airport for car park, and possibly airside duties, and enjoyed a leisurely life, until contracts passed first to Veolia and then New Adventure Travel (NAT). By 2011, it had appeared on eBay. NAT were looking after the vehicle, but clearly had no further plans for it, and by June it had been snapped up by Richards Brothers of Cardigan for £5,000. Malcolm Richards takes up the tale: “We had an excellent electrician here at that time, and he stripped out all the wiring, and replaced it a simple, straightforward system, which was less prone to failure. We re-trimmed the seats and I fitted a Mercedes badge from a minibus, because it has a Mercedes engine. Jerry Valentine, proprietor of Ruabon-based Valentine Travel Solutions took the plunge, last November, and started local service work, with a brand new Solo SR.
Wrexham Council had carefully designed two town-centre routes, which covered both gaps in service and sections of road, not appropriately covered by other commercial operators, since the collapse of GHA. Jerry won the tender for the routes, and has introduced a sign-written 23-seat M7900 SE-R SlimLine. Initial reactions were very encouraging, but Jerry said that there would have to be some minor changes in the new year. Since then another operator in the area has ceased and more changes may be necessary. Extras fitted in his Solo are three-point seatbelts for added safety, as well as an opportunity to operate private hires. Total cost was £147,000. With around 500 Solos already in service around the globe, deliveries have reached five continents, with nearly 200 sold in North America alone. Nevertheless the largest export so far has been to Cape Town, South Africa, where 221, 8.9 metre Solos SRs are in service. In a unique partnership with Busmark 2000, – South Africa’s foremost coachbuilder – the buses were sent in knocked-down form, for assembly at a new plant in Cape Town. 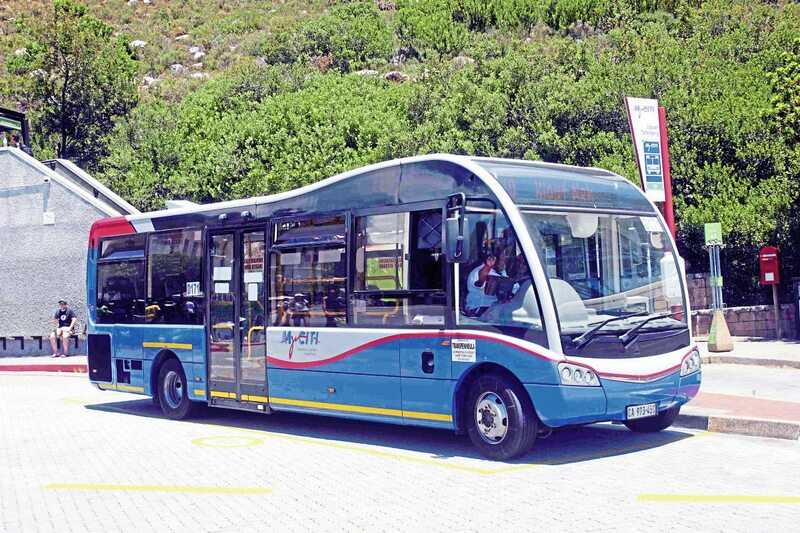 Delivered to Transport for Cape Town (TCT), the Solos join larger buses on the ‘My Citi’ rapid transit network, which currently covers about 10% of the whole city. Operations are contracted out to three companies -Transpeninsula, Table Bay Rapid Transit, and Kidrogen. Started in 2010, ‘My Citi’ forms part of a greater Integrated, Public Transport driven economic development strategy of the Municipality The service uses high floor articulated and standard size buses in dedicated busways, low floor articulated and standard size buses on some corridors, and smaller buses in suburban and inner city areas. It offers universal access through level boarding and numerous other measures, and features offside boarding at over 40 bus stops, which are secure raised facilities – often in the centre of roads. Accordingly, the Solos feature an additional raised off-side door to enable level boarding at these stops. Amongst many arduous duties the buses are used on the Table Mountain service, which is sponsored by the Cable Car company, and climbs up hundreds of feet around hairpin bends.